Former prime minister Najib Razak, who has been accused of money laundering and criminal breach of trust in the transfer of RM42 million to his account from a former 1MDB unit. 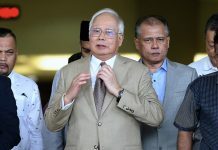 KUALA LUMPUR: The High Court in Najib Razak’s SRC International trial heard today that a Bank Negara Malaysia (BNM) enforcement officer obtained eight documents, including on four bank accounts opened in the name of the former prime minister at an AmBank branch here. Azizul Adzani Abdul Ghafar said he obtained the documents from Jalan Raja Chulan bank branch manager R Uma Dewi on July 6, 2015. “I was sent by investigating officer (Ahmad Farhan Sarifuddin) as the central bank was investigating a case under the Financial Services Act and the anti-money laundering law,” Azizul, the second witness in the trial, said when examined by deputy public prosecutor Suhaimi Ibrahim. Azizul, who has been with BNM since 2000, said he also obtained another four documents from Uma Dewei – three on SRC International and one on Gandingan Mentari’s bank accounts. The witness, who went to the bank with three other officers, said Uma Dewi had agreed to his request and delivered all the documents sought. “After she handed over the documents, I itemised them in the search list,” he said. 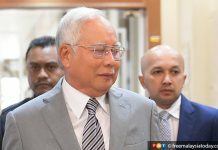 Najib faces six charges of money laundering and criminal breach of trust in the transfer of RM42 million to his account from SRC International, a former unit of 1MDB. 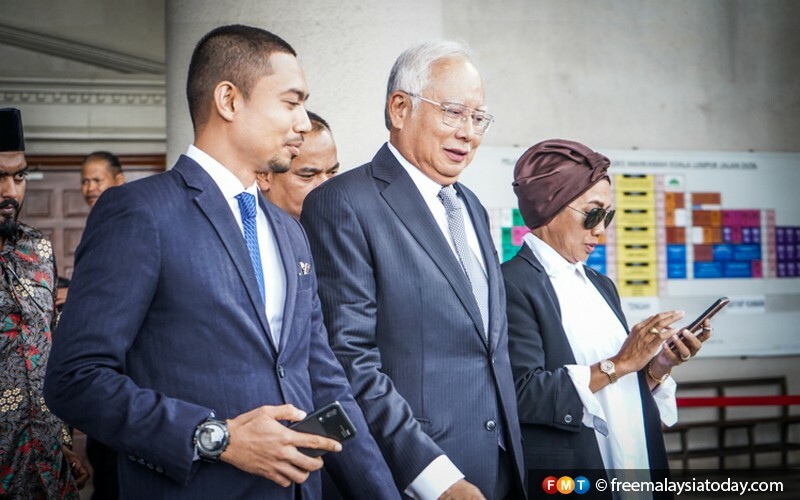 He is also accused of abusing his power as prime minister by giving government guarantees on SRC International’s RM4 billion loan from Retirement Fund Inc.
After lunch break, Azizul said he handed over the documents obtained from Uma Dewi to the investigation officer the following day. The witness also positively identified Ahmad Farhan and Uma Dewi during the trial before judge Mohd Nazlan Mohd Ghazali. 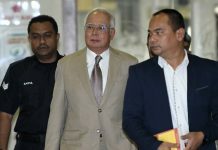 Najib’s lawyer Harvinderjit Singh informed the judge that he could not immediately cross-examine Azizul as the numbering in the documents used by the prosecution differed from that of the defence. The prosecution had supplied copies of the documents to the defence before the trial began as required under the law. This is because the documents would be used by the prosecution to prove their case. Ad hoc prosecutor V Sithambaram asked for a short adjournment for the prosecution to make a copy of the documents to be given to the defence before the cross-examination began. However, Sithambaram later applied for the trial to be adjourned tomorrow as the documents were still being photocopied. “I ask for an adjournment and give an undertaking that such things will not happen again,” he said. Nazlan adjourned the hearing until 9am tomorrow with Adzani taking the witness stand to be cross-examined.